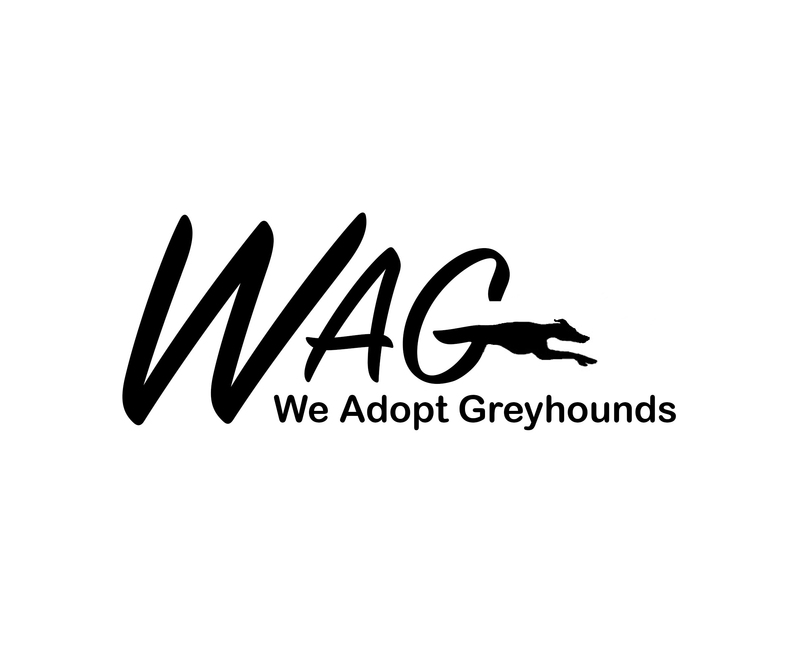 Available Hounds – We Adopt Greyhounds, Inc.
To fill out an online application for adoption, please click here. At this moment, we are accepting applications from applicants that reside in Connecticut and Rhode Island, and are accepting limited applications from Massachusetts. 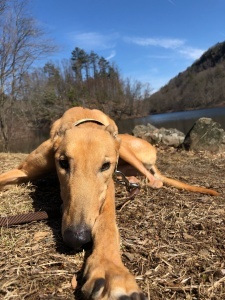 Please email adoptions@weadoptgreyhounds.org for more information! Meet Chill, one of our former WAG prison graduates, who has returned to WAG due to a change of circumstances with his previous owners. He is an 8 year old small sized male. 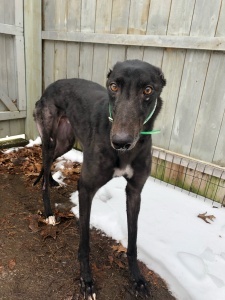 Chill has been reported to not do well with anything small, including dogs, cats and kids, but we will be retesting him inside and outside the home. 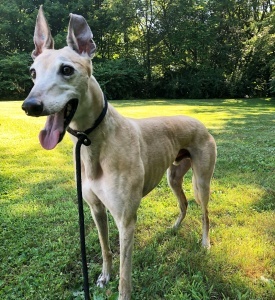 He has lived as an only dog, but does fare well with other greyhounds in the home. If you’re interested in fostering or adopting Chill, please contact us! Kramer is almost 2 yrs old. He is shy and scared but with patience and lots of TLC will blossom in his new home. He needs work walking on leash so a fenced yard would be best. 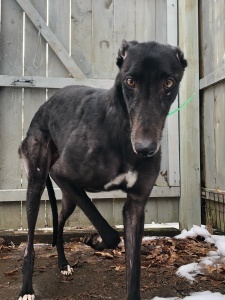 Kramer needs the companionship of another greyhound to help come out his shell. 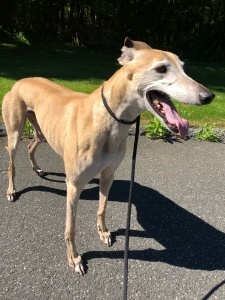 He has done greyt with the greyhound in his foster home. He loves to play with toys and curl up with a soft blanket. Odie is a handsome, red boy looking for a new forever home. He is about 70lb, but tall, and a sweet leaner. Odie will turn 7 in December. He was a former prison program graduate back in 2016 and has still retained some of his training! He really is a looker and has barely greyed in his older age. Odie does well with cats and small dogs and has lived with a newborn. He has not been an only dog, but has the demeanor where it could be possible for him. 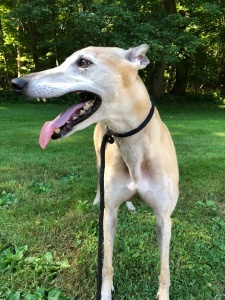 But he has lived his whole life with a female grey and did great! 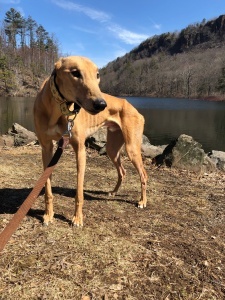 Odie would enjoy a calm home with a fenced in yard, but loves to go on hikes and go to the beach. If you’re interested in Odie, please fill out an application or contact us! 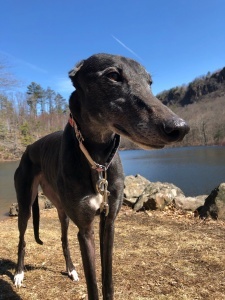 Fee (or Fillette) is a petite little black girl who is aging gracefully. She will turn 7 in November, but you would never know! She loves to go on walks and is a perfect hound on leash. Fee came off the track in 2016 with a history of seizures. Since retiring, she has had two, but is not on medication at this time. She is otherwise healthy and ready for a new forever home! 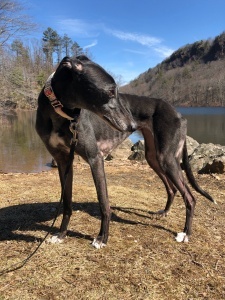 She seems to take cues from her greyhound brother, Odie, so it is recommended she go to a home with another greyhound. She does not require a fenced in yard, but has had one her whole retired life. Fee does well with cats and small dogs, but may fare well with older kids at this time of transition. If you’re interested in Fee, please fill out an application or contact us!